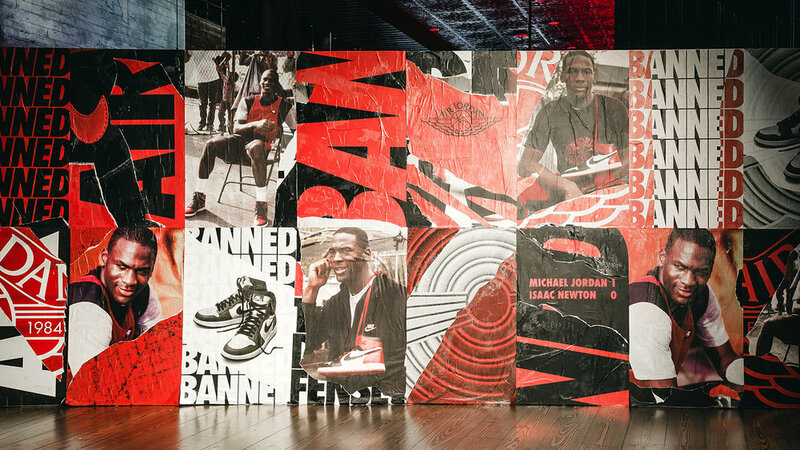 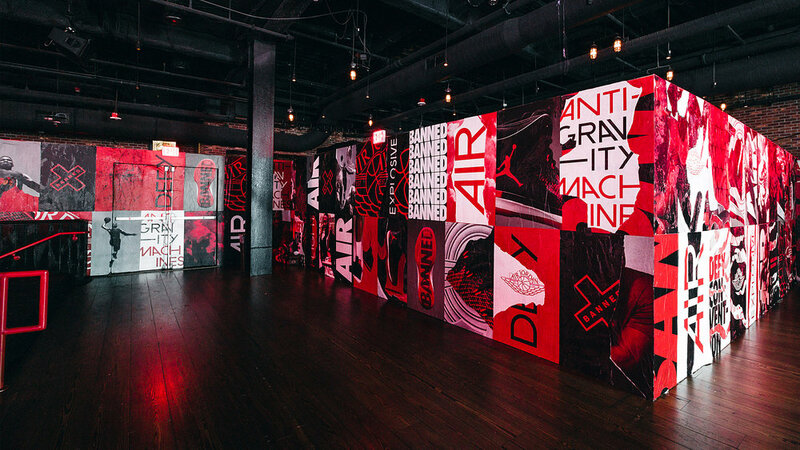 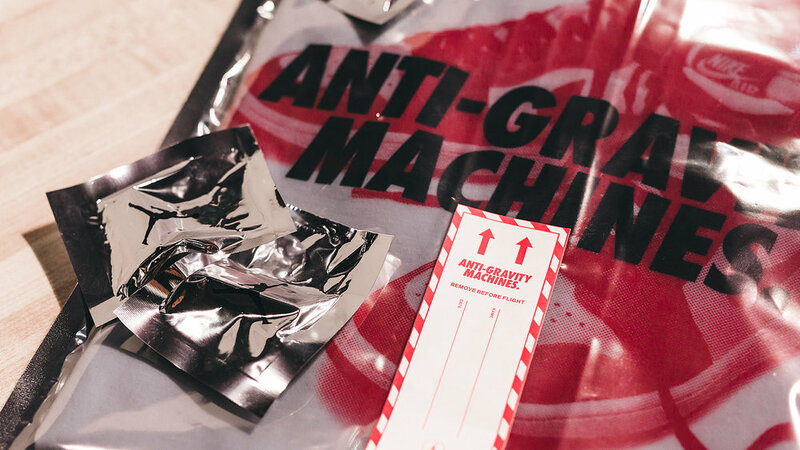 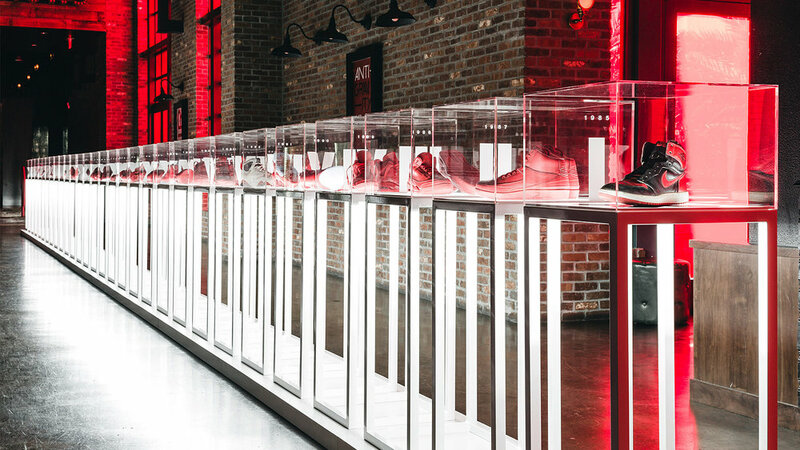 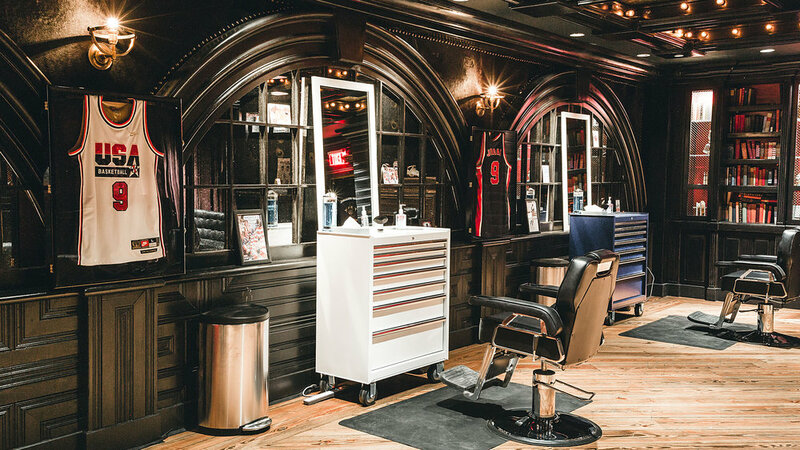 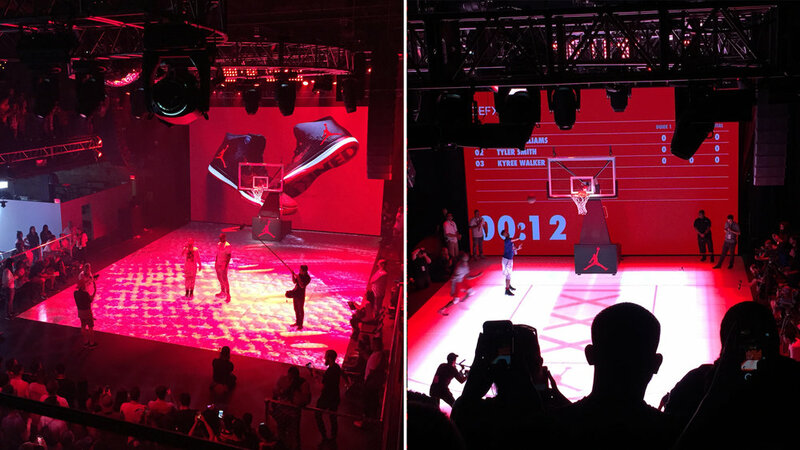 For the official unveiling of the Air Jordan 31 sneakers, we designed and built an entire interactive experience with an LED basketball court in the Las Vegas Brooklyn Bowl that brought to life the story of the historic red and black Air Jordans that the NBA once banned for being in violation of their uniformity rules. 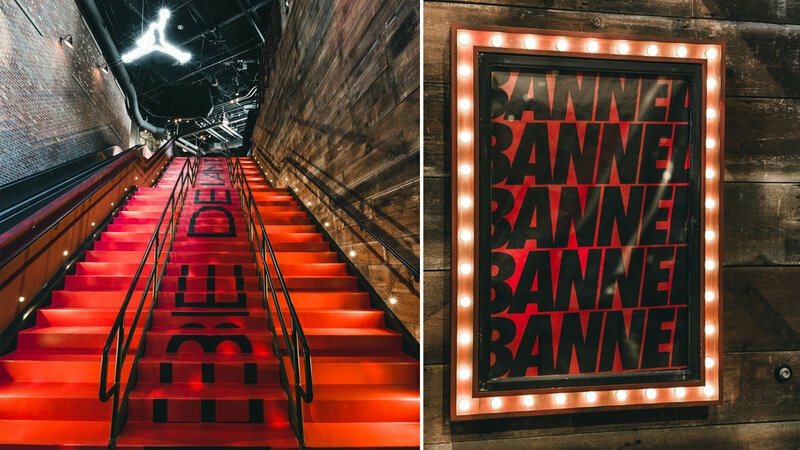 We engineered a high-tech basketball court with LED TV screens under the surface of a German glass floor—an innovative product that’s approved by the NBA but had never before been used in the United States. 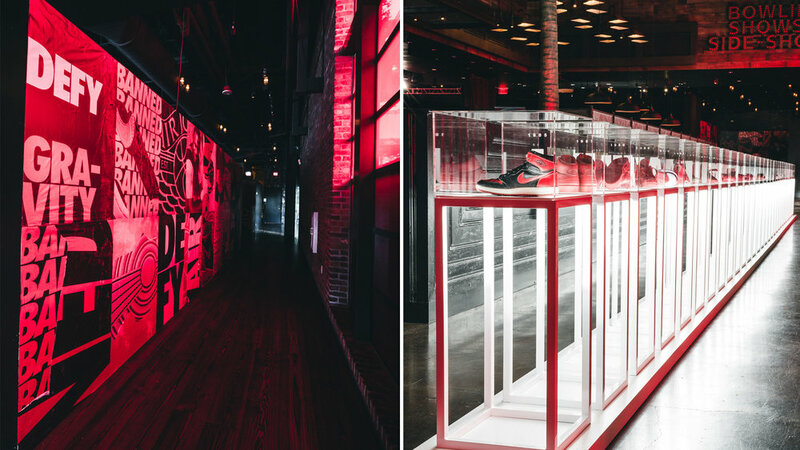 Sensors in the court are designed to react to a player’s movement, triggering cutting-edge visual sequences on the floor and walls to create a unique, immersive experience for Jordan fans and consumers.